Pacific Island Countries: Lessons in grief, hope and recovery from a seven-year-old boy. Lessons in grief, hope and recovery from a seven-year-old boy. “I remember Tavai. He came to my school and we played football”, says Nalau. Tavai Soalo, a facilitator in the UNICEF-supported Just Play sports for development programme, also remembers Nalau. 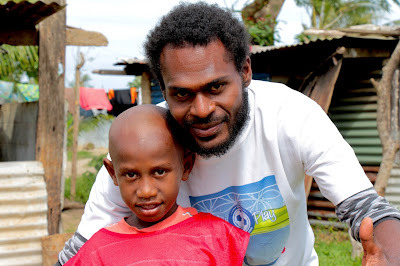 He was facilitating a Just Play session at Sorovanga School, Vanuatu, aimed at helping children to recover emotionally from Cyclone Pam, when Nalau shared his story. 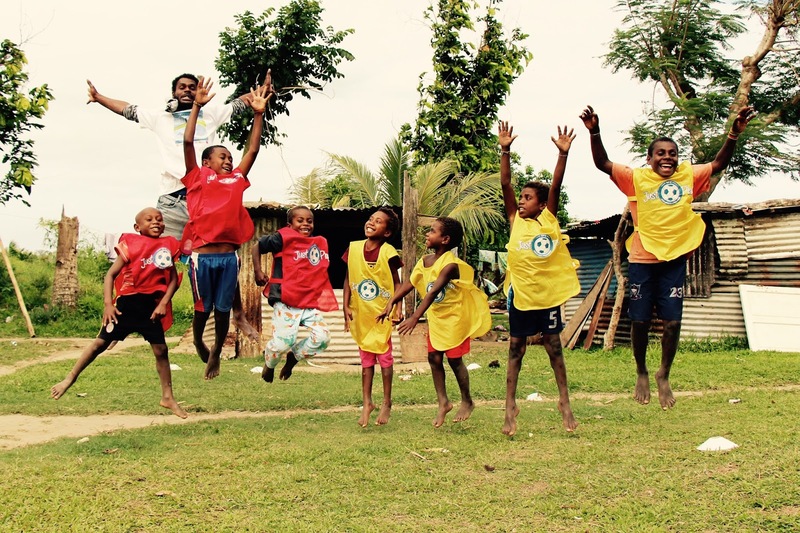 After Cyclone Pam hit Vanuatu in March, UNICEF, in partnership with the Oceania Football Confederation and the Vanuatu Football Federation, organised a special Just Play Emergency Programme. Over two months, the programme targeted schools in the most affected areas of the country, helping children to recover through sports and emotional support, while also educating them about hygiene, safety and healthy eating habits. The Just Play programme teaches children through sporting activities that enable them to process and put aside stressful thoughts about the cyclone, enjoying a safe space to share their experiences, learn and have fun. Tavai Soalo and the Just Play participants. With seven years’ experience working with children, 27-year-old Tavai was able to create a safe environment for Nalau, developing a strong and supportive relationship. The last activity Tavai organised with the children taking part in the programme was drawing a picture of what makes them happy. “Most of the children in my group were drawing football fields. I couldn’t see what Nalau was drawing, so I waited until everyone was finished”, he recalls. All the children took turns talking about their drawings. Nalau proudly showed us his drawing saying, “Home makes me happy. So, I drew my home”. Tavai didn’t know at the time that Nalau and his family were living in a tent after the cyclone destroyed their home. The money Nalau’s mother made selling vegetables at the market was enough to pay for Nalau’s education but not to rebuild their home. That she prioritised his education over their home speaks volumes about her love for her child. After explaining his drawing to Tavai, Nalau added, “I am happy now … but I will never forget that my father died during the cyclone.” It’s safe to say that Tavai will never forget Nalau, the boy who taught his teacher about grief, hope and recovery.